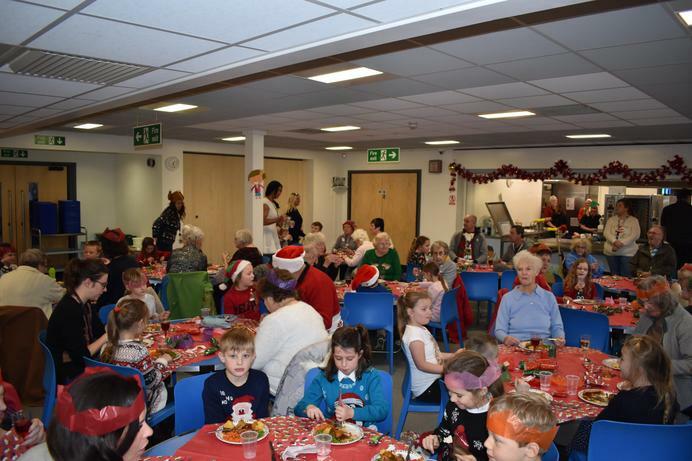 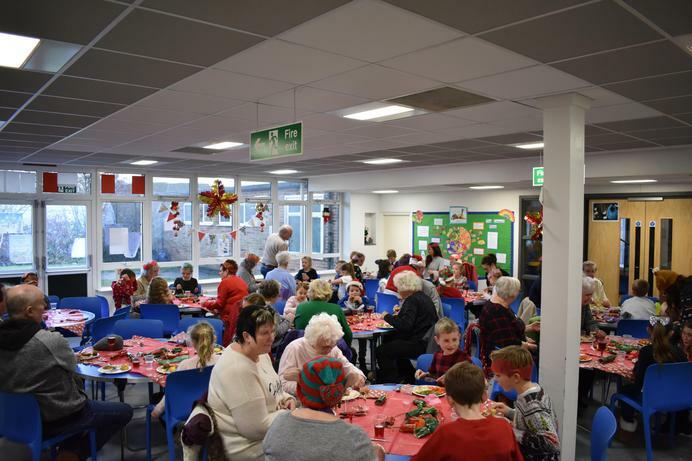 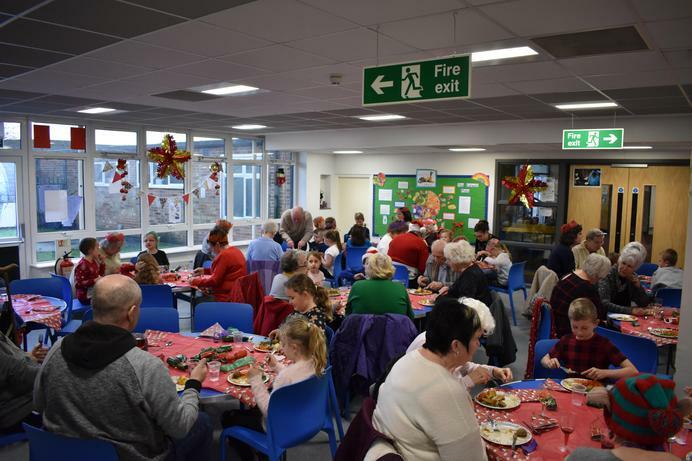 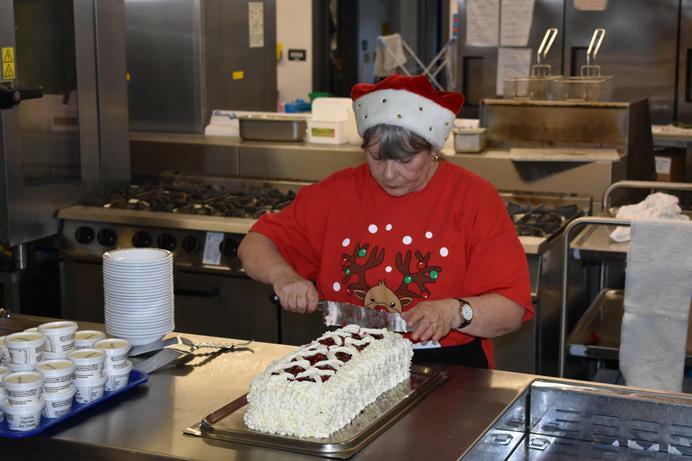 A lovely time was had by all at this year's Community Christmas Lunch. 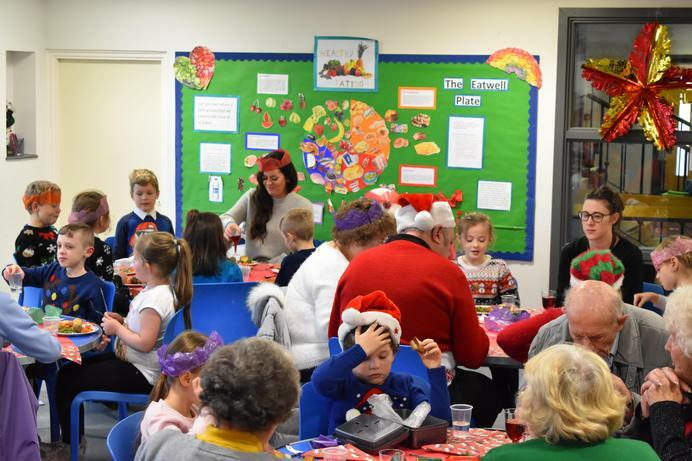 More senior members of the community were invited to have Christmas Lunch with one of our classes. 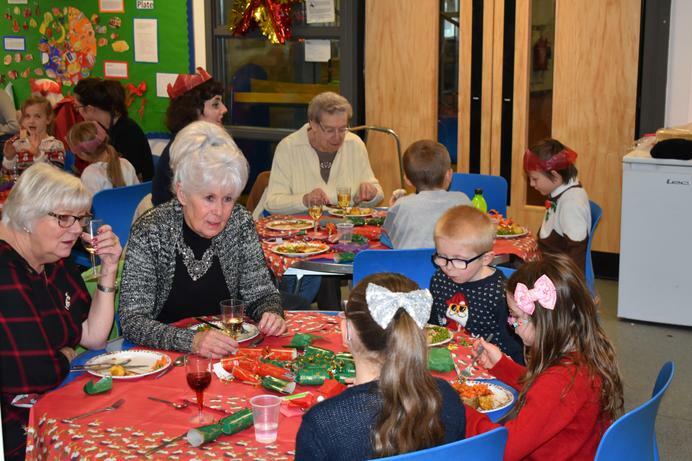 After a lovely meal they were treated to a few Christmas songs!